Kids can be a handful at the best of times. But put them in a confined space for hours on end, and you’ve got a recipe for an extremely frustrating experience. That’s why you need a game plan before taking your children on a long-haul flight, especially if this is your first time traveling with them on an airplane. Otherwise, you’ll be in for hours of seat-kicking, crying and general discontent. In fact, some airlines have even created kid-free zones on flights because of the troubles little ones can cause on planes. So if you’re going to be flying with children soon, be sure to read these 5 tips before checking in. If you’re travelling with older children, talk to them about what they’re going to experience on the plane. It’s really all in the approach. Frame the flight as an adventure. Focus on the fun aspects of flying: watching the buildings get smaller as they take off, the cool video screens in the headrests and the snacks that get handed out. 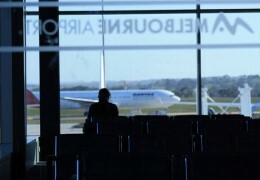 If you can get them looking forward to the flight, they’re more likely to view it positively. And if that happens, your children are less likely to feel bored and more likely to behave. 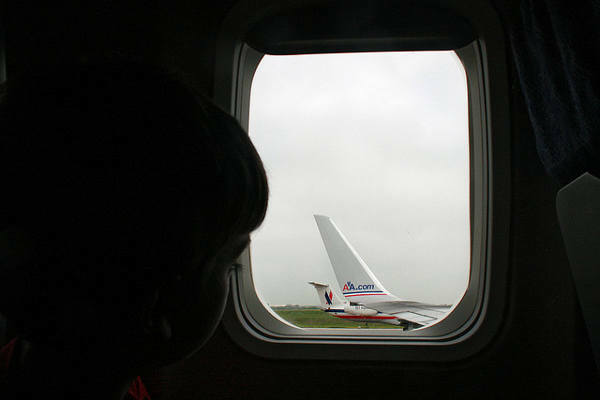 The jury’s still out on this one: is it better to put your kids in an aisle seat or a window seat? It really depends on the age and personality of your kids. 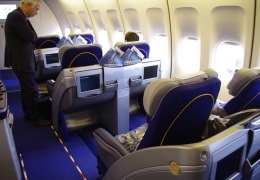 Some travellers swear that you need to get an aisle seat. Their argument is simple: kids will likely make plenty of bathroom trips during the flight, so it’s a good idea to make this as easy as possible for them. Others are strong advocates of giving kids a window spot. 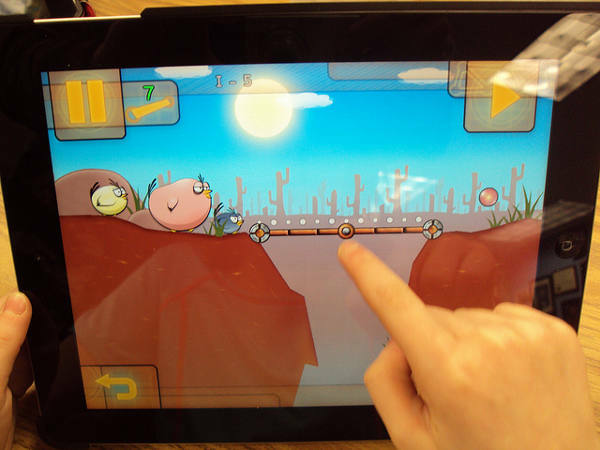 First off, it provides your child with an instant distraction during takeoff and landing. And second, the window seat keeps them out of trouble. When sitting in the aisle, they run the risk of getting their fingers smashed by the drink cart or another passenger walking by. 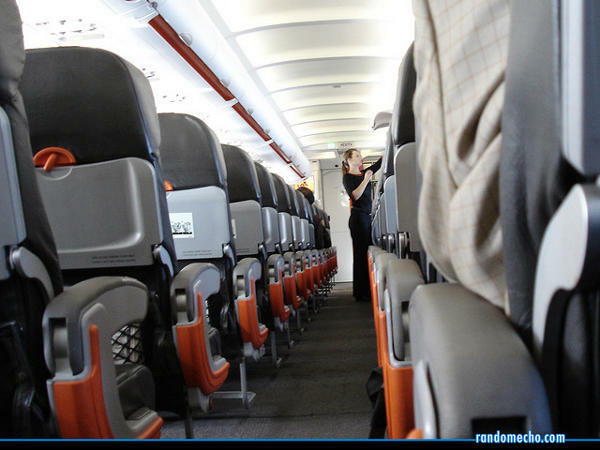 Also, the aisle position makes it easier for them to grab things from the overhead bin when you’re not watching. So it really comes down to personal preference – think about how each type of seat will benefit you and your family. At first, this sounds counter-productive. The pre-board is supposed to give parents time to get their kids all set for the flight. The problem is that this also means you’ll be spending an extra 15-20 minutes on the plane, adding to the amount of time your little ones will be cooped up. Instead, have your children burn off their excess energy while the other passengers are boarding. And then hop on the plane as late as possible. Never underestimate how your clothing can influence the way you feel. If you’re stuck in tight, binding pants for a six-hour flight, you’re far more likely to be in a foul mood by the time your plane touches down. And if your kids are in uncomfortable gear, they’re not going to be happy fliers. So nix the blue jeans and put the little ones in sweat pants or pretty much anything else with an elastic waist. Also, think layers. That way it’s easy to adjust to whatever the temperature on the plane requires. You probably know that gizmos with flashing flights or tablets loaded with movies are essential gear for a flight with kids. But the trick is understanding when the right time is to use these tools. Pull out all their toys at once and your child might get sick of them mid-way through the flight. And that means they’ll be bored and cranky. So bring several items with you and take just one out every few hours. It’ll give them something new to focus on, and that’s mean a happier (and quieter) traveller overall. Do you have any tips for flying with young children? Tell us about them in the comments below.